Categories: Cheese, Blue Vein, Cow. A little bit stinky and a whole lot of tasty, Taleggio is easily recognised by its deep orange washed rind. This Italian classic has a pungent aroma and a rich, creamy flavour with savoury hints of smoked meats and lightly fried mushrooms. It’s soft and smooth with a creamy finish – enjoy with a beer or glass of Pinot Grigio. Taleggio works well on a cheese platter or use it make a Taleggio, thyme and mushroom pizza – delicious! 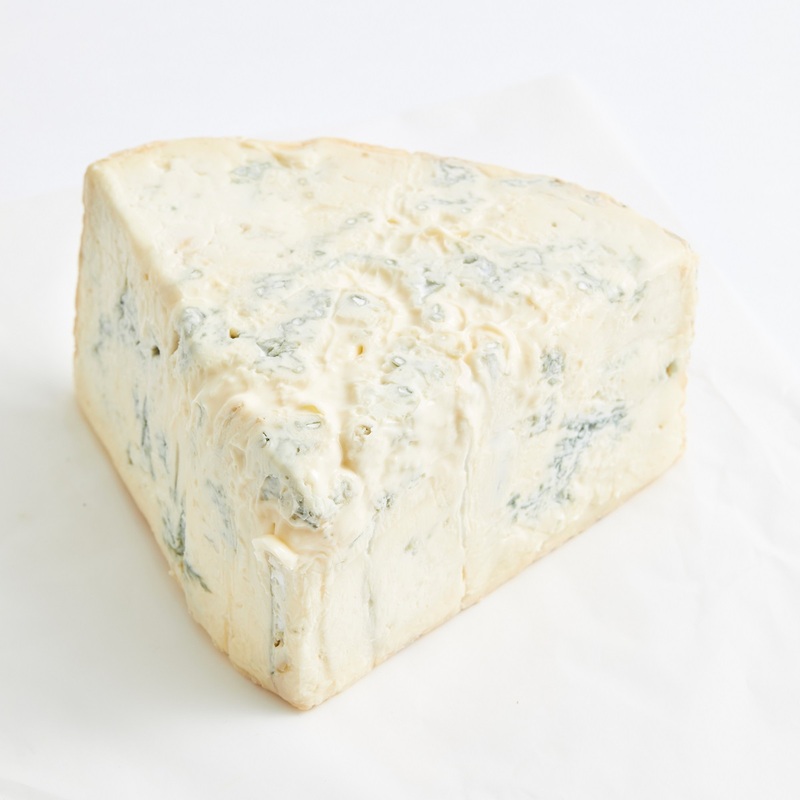 A French classic from the lush dairy region of Normandy – the texture is creamy and bulging and the flavour is rich and full with a subtle yeastiness and light mushroomy flavour coming from the rind. A semi-matured goat’s cheese from the Loire Valley in France. The fresh, clean flavours of goat’s milk are complimented by a rich nutty flavour coming from the wrinkly white rind. Under the rind the texture is smooth, with a slightly chalky centre. Pairs well with a Sauvignon Blanc or Pinot Noir. This wine-soaked cheese is gentler than some of the others from this region. A young mountain cheese is soaked with sparkling Prosecco wine. This results in a mild, yet pleasing marriage between the creamy, milky flavoured cheese and the light fruity notes of the wine. It is matured for a minimum of 3 months. The texture is soft and supple – enjoy before dinner with a glass of something bubbly. Cheese and wine combined – this is one of the famous ‘drunken’ hard cheeses of Italy, matured for a minimum of 24 months. This full-flavoured cheese is soaked in the local red wine, which stains the rind dark purple and seeps into the cheese creating ‘purple veins’ and amazing depth of flavour. It is strong and bitey with pronounced wine and grape flavours. The texture is firm, smooth and slightly flaky – the wine soaking helps to keep it moist. A classic British cloth-bound cheddar – big and bitey with a hint of cultured butter on the finish. The cloth covering allows the cheese to breath during maturation, creating that distinctive open, crumbly texture. Enjoy with a glass of Cabernet Sauvignon. Wookey Hole Cave Aged Cheddar is a traditional PDO cheddar made on the Ashley Chase Estate in the heart of West Dorset. The key ingredient for this unique cheddar is the highest quality rich milk sourced from dairy cows that graze the lush pastures of the surrounding countryside. The cheese is made to traditional methods by a highly skilled team of cheese makers. Each stage of the process is performed by hand, from the turning of the curds to the wrapping of each truckle in cheesecloth. The Cheddars are then taken to the Somerset Caves to mature naturally in an environment which ensures they remain mouth wateringly moist and packed full of the distinctive, earthy and nutty flavours of the Caves. Wookey Hole Cave Aged Cheddar is the only PDO traditional West Country Farmhouse Cheddar to be matured in Caves. This young Asiago is perfect for those wanting a milder cheese that still delivers on flavour. It has a smooth, supple texture with lots of eyes through-out, and a sweet, milky, slightly nutty flavour. It is great on panini, sandwiches and party platters. It also melts well and is very popular with children. This unique cheese has been matured for 3 years to create a dry, crumbly texture and a very sharp bite with fruity overtones. Some would describe the flavour as a cross between cheddar and parmesan – but this doesn’t quite do the cheese justice. Monte Veronese has its own unique charm and reflects the terroir of the grassy, alpine region where it is made (malga = mountain pastures). This cheese is a member of the Slow Food Presidia.